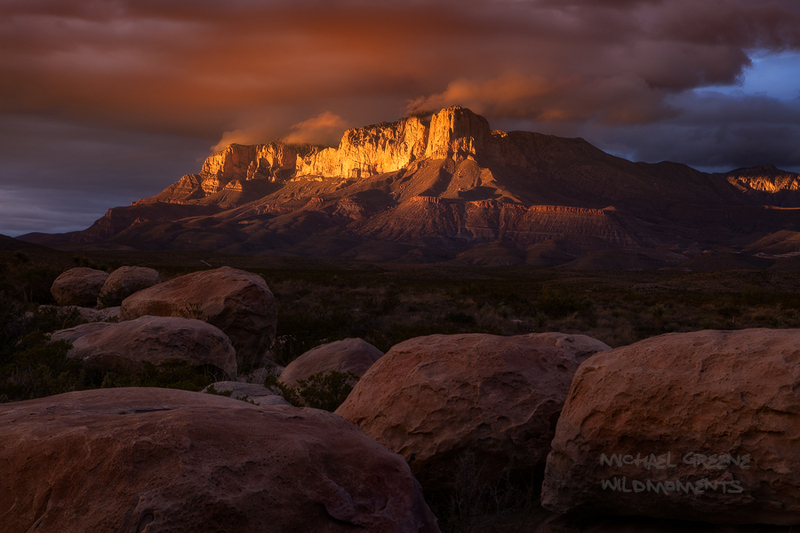 I classically framed this composition with massive boulders during an incredibly dramatic autumn sunset just outside of the Guadalupe Mountains in West Texas. The sky turned orange and the mountains glowed yellow with whisps of clouds. This light lasted for maybe 5 minutes. Photo © copyright by Michael Greene.